Stay tow nights and get the third night free. This fully furnished, neatly decorated home boasts 4 bedrooms upstairs. Two bedrooms have en suite bathrooms and the other two bedrooms share a bathroom. There is ample cupboard space in each bedroom. Downstairs is an open plan kitchen, dining room and lounge area, both leading onto the patio which overlooks the golf course with distant sea views. There is a separate scullery and drying yard. The kitchen is fully equipped and has a dishwasher and washing machine. The dining room can seat eight people. This home comfortably accommodates 8 guests. No Complimentary golf cart included in the rental amount. Within 5 minute drive from the Valley of the Pools. No Smoking Allowed. Toilet paper, dishwashing soap and black bags provided on arrival. This is a self catering home. Please contact us for our extensive property portfolio options. We do not accept cheques. For deposit refund purposes it is vital that all banking details are provided. Rates quoted are per unit. Rates are subject to change without prior notice. 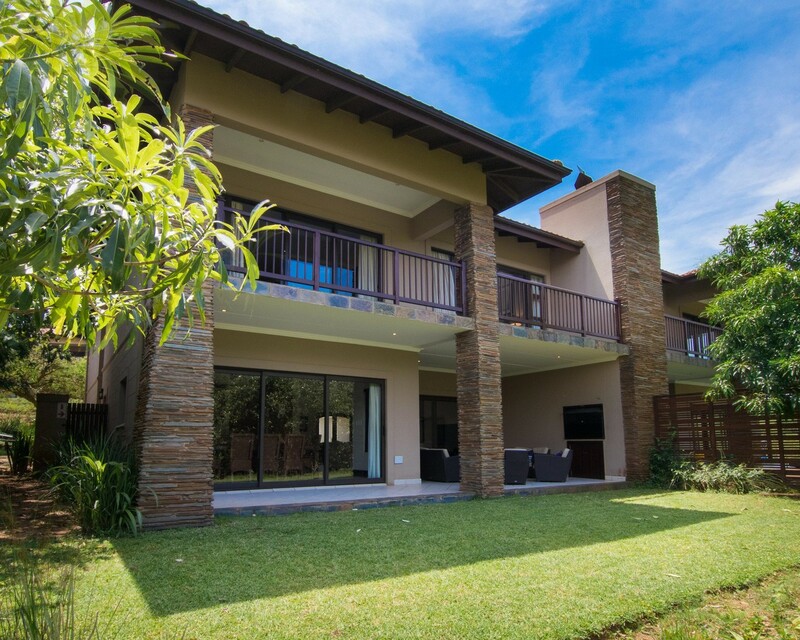 Holiday Accommodation bookings are subject to availability and Zimbali Homes's Terms & Conditions. Credit card, forex and cash transactions attract additional bank charges. This will be for guest's account.